Full Impact Pro’s Heavyweight champion Fred Yehi just finished defending his title against three foes. But that isn’t stopping the champion from action as he is ready for action for EVOLVE 64 and 64. Evolve 64 will take place in Queens, NY July 16 and Evolve 65 will take place at Melrose, MA July 17. Both events will air on www.wwnlive.com. Yehi stopped by The Roman Show to talk about defending his title last weekend and the action he expects. On July 17, he will be involved in a six-man tag match teaming up with Drew Gulak and Tracy Williams, but their opponents are unknown. “Anytime you don’t know anything you expect surprises. I know it’s a six-man tag match,” he said. “I am as much in the dark as everyone is. 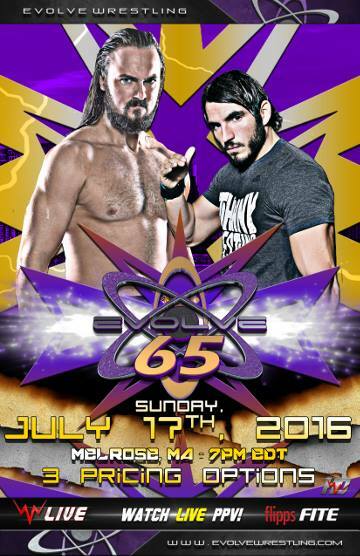 On the EVOLVE 65 card, Drew Galloway will battle NXT’s Johnny Gargano. There will also be a WWE Cruiserweight Classic Spotlight match featuring Tommaso Ciampa vs Cedric Alexander and more. Yehi said he is looking forward to being on the same card with guys like Ciampa and Gargano.